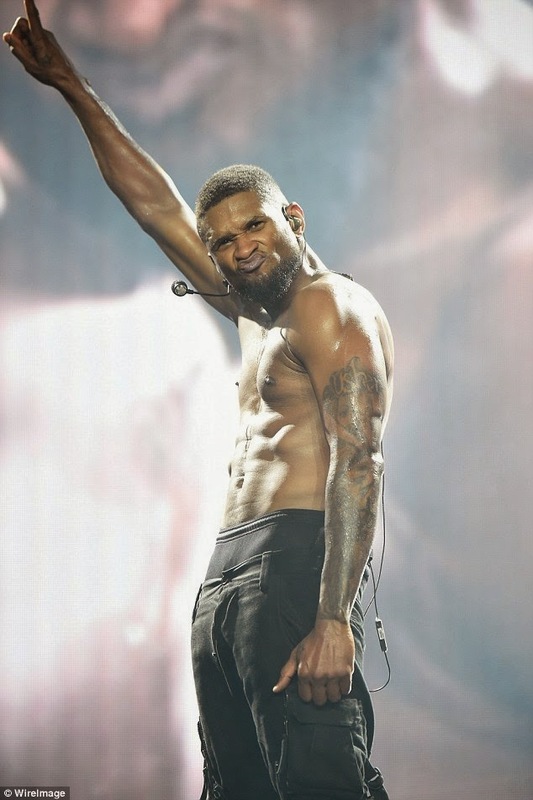 Usher is no stranger to charming audiences with his R&B vocals but for his 13th concert date the father-of-two amped up the LA crowd with a little strip tease. The Good Kisser crooner wore a black tank top, matching low rise trousers and gold sneakers for most of the show taking off the same shirt over and over again throughout different songs. He displayed his muscular physique and myriad of tattooed body art as he danced and jumped around the stage.